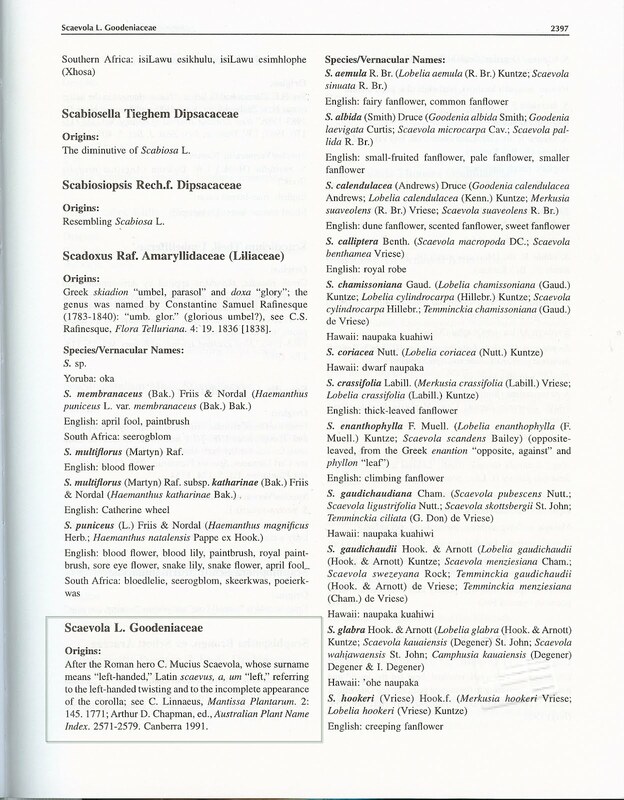 TravelMarx: CRC World Dictionary of Plant Names - Who is Umberto Quattrocchi? 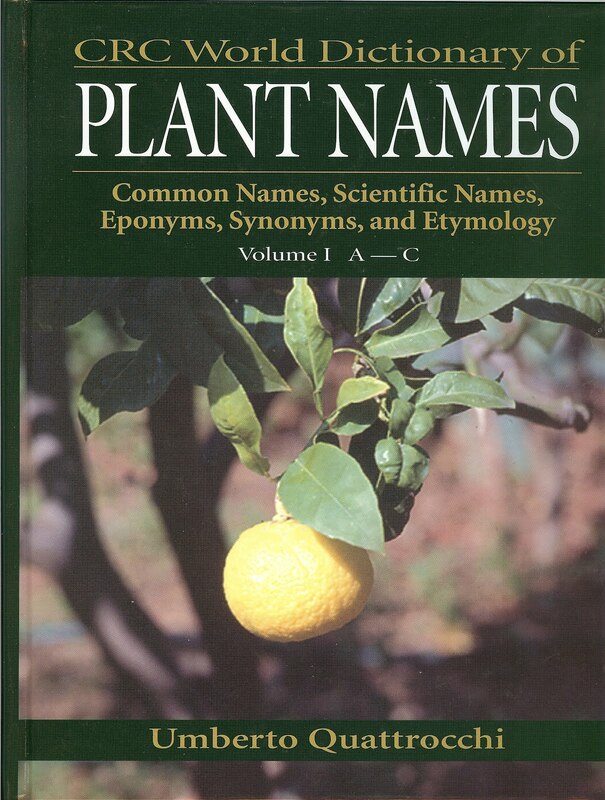 CRC World Dictionary of Plant Names - Who is Umberto Quattrocchi? 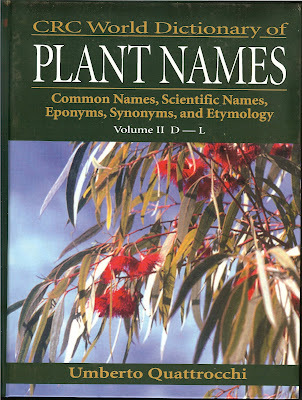 I started running across references to Umberto Quattrocchi a few months back and, in particular, Quattrocchi as the author of the CRC World Dictionary of Plant Names, Common Names, Scientific Name, Synonyms, and Etymology. I wondered about the book and who could author such a book. When I think of CRC (CRC Press) I think of a gawky college student sheepishly asking for the CRC Handbook of Chemistry and Physics in the chemistry library at the University of Rochester. That was me and it was an intimidating book. Now, a CRC for plant names? Also, quattrocchi means “four eyes” in Italian. 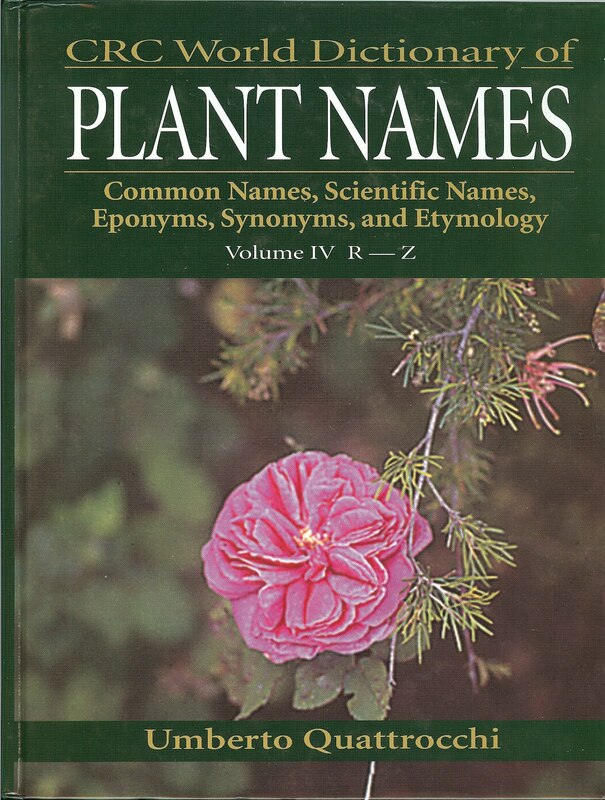 So a guy named four-eyes put together a book on plant names with CRC in the title. In the end it is me that needs glasses perhaps. I ordered the book on Amazon and when it arrived I was flustered because I just had paid a large sum of money for a book which was only one out of four volumes. Oops. Not content to just read about plants with names starting with R to Z, I forked over the money for the other three volumes. Maybe there is one volume for each of the “quattrocchi”? Umberto Quattrocchi was born December 21, 1947, in Bergamo, Italy. He received his degree in political science, his M.D., and his specialization in obstetrics and gynecology all from the University of Palermo. The author of numerous political and botanical books and articles, his articles on plants and gardening recently have been published in Hortus and The Garden. A member of the Royal Horticultural Society and Botanical Society of America, a Fellow of the Linnean Society, his studies in plants and ethnomedicine have taken him to remote areas of the globe. In 1992 he retired from the practice of medicine to pursue studies in botany and to continue teaching as a professor of political science at the University of Palermo. His interests include jazz, classical music, book collecting, and the cultivation of tropical, subtropical, and desert species of plants. He lives in Palermo with his wife Paola (also a physician) and their two children Daria and Salvatore. So how are these as references books (all four volumes)? Physically, a bit unwieldy to manage. The set could have been perhaps reduced in size since the white space on each page seems a bit excessive and the publishers could have either made the book size smaller or reduced the total number of pages. Information-wise, the books seem fine so far. 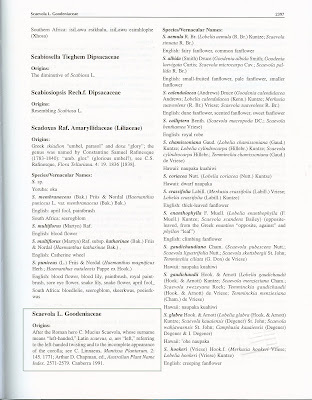 At the end of each volume there is the same extensive bibliography. For the price of the CRC World Dictionary of Plant Names they seem to be slightly lacking in terms of how they are published. Beyond the white space already mentioned, the images on the front covers are blurry and not the least bit evocative of plants. And finally, nowhere in the volumes is it indicated (at least to my two eyes) what plant is on the front cover. I know, minor point, but still. CRC should have at least one black eye over the presentation of this material. 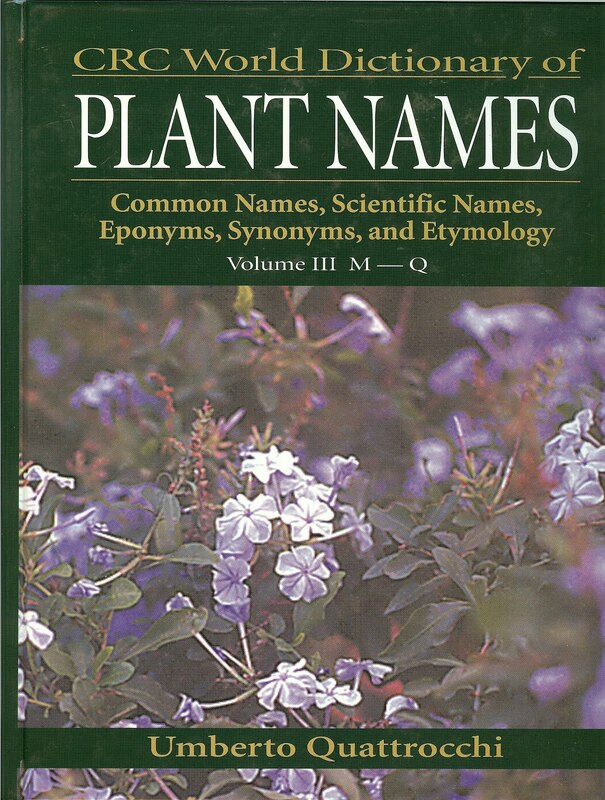 For a more economical approach to understanding plant names, you can try Gardener’s Latin and the Dictionary of Plant Names discussed in a previous post. Yes, unfortunately. And, as noted above, not that well produced.